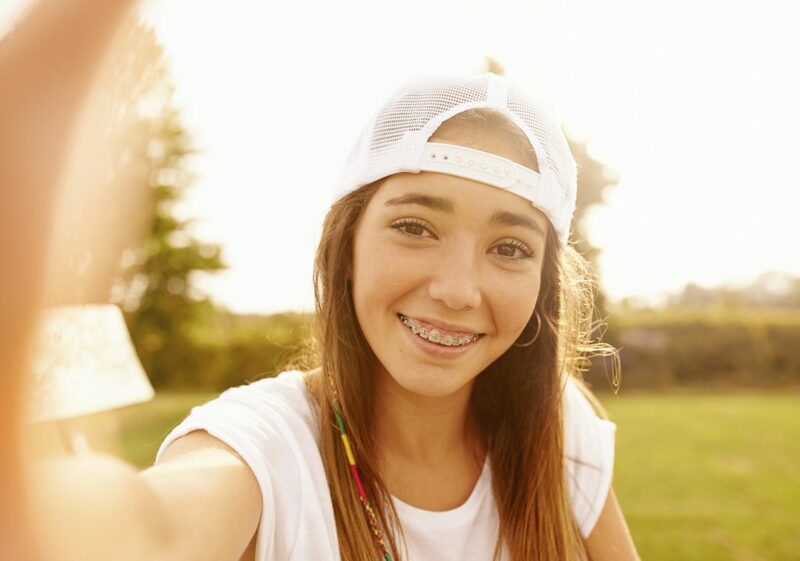 Are you wondering what’s the best time for braces? It might be earlier than you think! For adults and kids alike, there are plenty of reasons people might want braces – and it’s not just cosmetic. Having straighter teeth can have some health benefits too. The American Association of Orthodontists recommends a checkup with an orthodontic specialist no later than age 7. In some cases, the orthodontist will be able to achieve results that may not be possible once the face and jaws have finished growing. Additionally, early treatment may give your orthodontist the chance to guide jaw growth, lower the risk of trauma to protruded front teeth, correct harmful oral habits, improve appearance, guide permanent teeth into a more favorable position and improve the way lips meet. Orthodontics have come a long way in just the last decade. If you’re concerned about the appearance of braces, be sure to take a look at Invisalign® clear aligners. These “invisible” braces can discreetly straighten your teeth and be removed for eating and cleaning at anytime. If you’re unhappy or concerned about your teeth, we’d love to schedule a free consultation with you to discuss your options.